They're the latest states to release names of credibly accused priests. Each of the state's five dioceses released their own lists, with varying levels of detail about the allegations. The dioceses of Trenton, Paterson and Metuchen only listed the priests names, their date of birth, date of ordination and their current status. The Archdiocese of Newark and the diocese of Camden also listed where the priests served. None of them listed the date of the alleged abuse, when the alleged abuse was reported and how long after those reports were made that action was taken by the church. 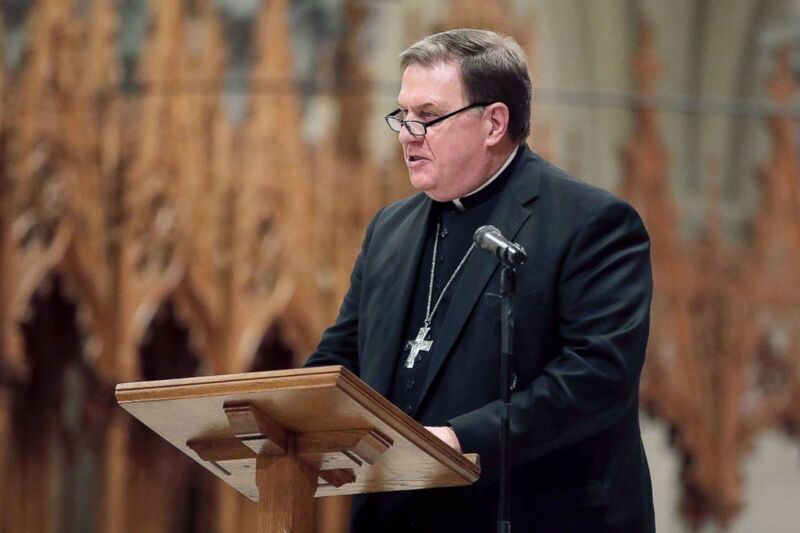 Cardinal Joseph Tobin, the Archbishop of Newark, released a statement saying that the lists are "the result of an extensive review of Archdiocesan records dating back to 1940" and all of the names had been previously reported to law enforcement. (Julio Cortez/AP) Newark Archbishop Cardinal Joseph Tobin speaks during a prayer service for New Jersey Gov.-elect Phil Murphy at the Cathedral Basilica of the Sacred Heart, Jan. 12, 2018, in Newark, N.J.
"It is our sincerest hope that this disclosure will help bring healing to those whose lives have been so deeply violated," Tobin wrote in the statement. Bishop Michael Burbidge of Arlington, Virginia, released a statement saying that "embarrassment, frustration, anger and hurt" are among the feelings he shares with those affected. Virginia's Catholic community is divided into the dioceses of Richmond and Arlington, with 42 offending priests in Richmond and 16 in Arlington. Eight priests overlap on both lists. None of the clergy in the report from either diocese are listed as active. 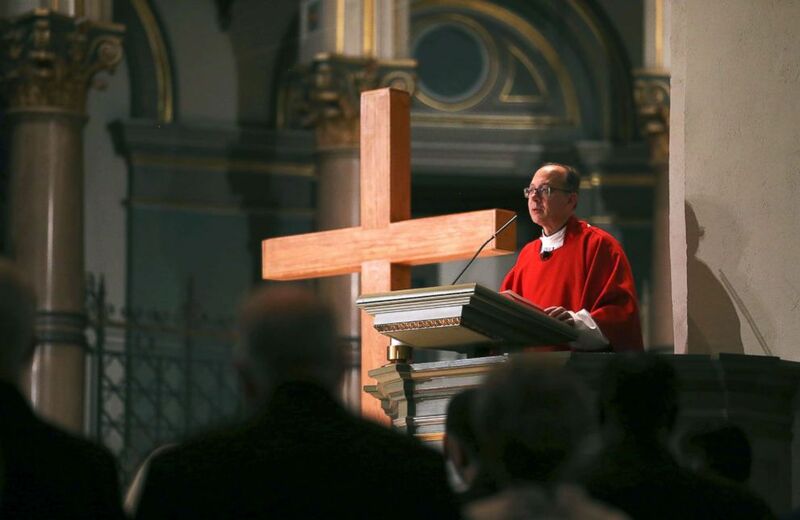 "To those who experienced abuse from clergy, I am truly, deeply sorry,” writes Richmond Bishop Barry Knestout in his own letter published on the Catholic Diocese of Richmond website. "I regret that you have to bear the burden of the damage you suffered at the hands of those you trusted." (Shelby Lum/Richmond Times-Dispatch/AP) Bishop Barry C. Knestout speaks during the Mass of Atonement at Cathedral of the Sacred Heart, Sept. 14, 2018, in Richmond, Va.
Burbidge, who said that he is "open" to meeting with victims, wrote "I continue to be inspired by your strength and resolve." The Survivors Network of those Abused by Priests (SNAP) released statements about both states' disclosures, saying that they are grateful but want more to be done. "The man who abused me was listed on disclosures from both the Diocese of Richmond and the Diocese of Arlington, so I am experiencing some healing and validation," Becky Ianni, a SNAP leader and survivor of abuse herself, said in the organization's statement. "At the same time, I know there are other victims who are feeling angry, upset and disbelieved when they see their perpetrator left off, and I am saddened that instead of feeling validated, they are feeling re-victimized," Ianni said in the statement. The SNAP statement about the New Jersey disclosures praised the work being done by the state's Attorney General Gubir Grewal, whose office initiated a task force to investigate alleged abuse. "We know from the hundreds of calls that we have received over our tip line that there are many others who were abused as children and as adults, both by diocesan clergy and clergy members in various religious orders," Grewal said in a statement released Wednesday. "The investigative work of the task force continues so that we may assure that all survivors of clergy abuse are heard and all abusers and institutions are held accountable for their acts," he said. 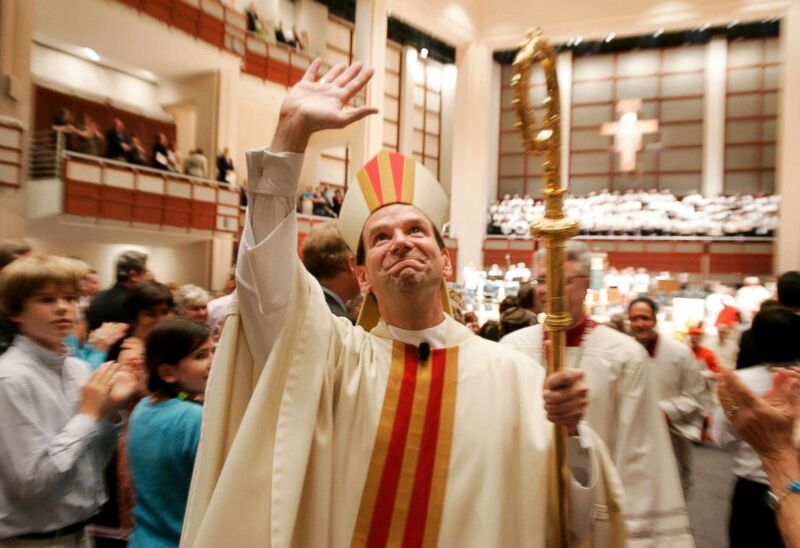 (Ethan Hyman/The News & Observer/AP, FILE) Bishop Michael Burbidge waves to the assembled crowd as he leaves Meymandi Concert Hall after being installed as the fifth Bishop of Raleigh, in Raleigh, N.C., Aug. 4, 2006.